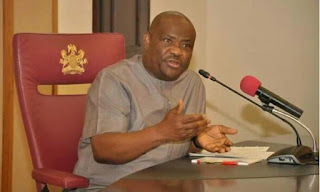 Rivers State Governor, Nyesom Wike, has inaugurated a judicial commission of inquiry to investigate the violence, killings and other related matters which occurred during the February 23 and March 9, 2019 elections in the state. Wike also inaugurated a panel that would investigate the violent invasion and attack on the state judiciary complex which occurred in Port Harcourt, the state capital, on May 11, 2018. The governor inaugurated both panels on Thursday at the Government House, Port Harcourt, with a charge that they should submit their reports within 30 days. Justice Monina Danagogo was inaugurated as the Chairman of the Judicial Commission on Election Violence, while Justice Simeon Amadi would chair the commission on the invasion and attack on the state judiciary complex. Wike urged members of the two panels to work diligently to deliver within the scheduled period. He said, “Identify the sponsors and perpetrators of the various acts of violence and killings in the state during the period of the aforesaid elections. The governor also listed the terms of reference of the panel on the invasion of the state judiciary complex to include, “To ascertain and identify the immediate and remote causes of and/or the motives behind the violent invasion and attack on the Rivers State Judiciary Complex and destruction of public properties, which occurred on May 11, 2018. Responding, Justice Danagogo said the commission would carry out its duties in line with the extant laws. Justice Amadi also said the invasion of the state judiciary complex would not be swept under the carpet.